Why Buy A Used Car During Tax Season? Why Work at Arlington Toyota? Lifetime National Warranty! Unlimited Time! Unlimited Miles! Arlington Toyota Discount Network for Savings on Shopping, Restaurants and More! * Click here for full Advantage Club program details. Lifetime Warranty on New Vehicles Only. **#1 Volume Toyota Dealer in the Jacksonville Metro Market defined by R.L. Polk based on total New Toyota sales for 2018 per Southeast Toyota Distributors. 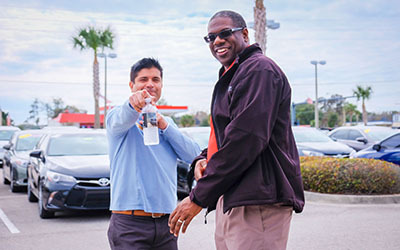 More than three decades ago, Mr. Eyrie Brooks opened the doors of Arlington Toyota in Jacksonville, Florida at a time when a gallon of gas cost just .63 cents and Jimmy Carter was president. Much has certainly changed since then, but Arlington Toyota’s commitment to quality, service, dependability and excellent pricing remains stronger than ever. 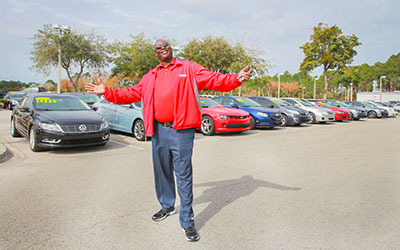 That commitment has been recognized by Toyota with the Toyota President’s Award, which is given to dealerships throughout the U.S. that achieve high standards of performance in all facets of the automotive dealer profession. In fact, Arlington Toyota has won the prestigious award eleven times! We have also been recognized with the Parts and Service Excellence Award, all of which gives the Arlington team greater motivation to attain even higher levels of achievement. At Arlington Toyota, customer satisfaction is our top priority, and we are dedicated to providing our valued clients with the and services to cover their automotive needs. We invite you to browse our vast inventory of quality new Toyota cars and used vehicles, both on our website and at our state-of-the-art dealership, as you search for your next car, truck, SUV, or van. 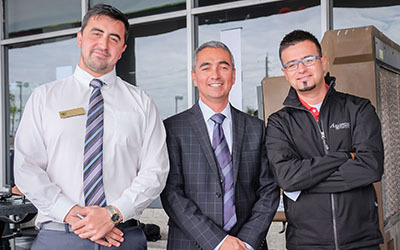 Our broad selection offers something for every style and budget, and our friendly professionals are here to assist you and answer all your questions as you search for your dream automobile. Arlington Toyota also offers reliable maintenance and repair services through our service center and our certified collision center, which is the only authorized and certified Toyota collision center in Jacksonville. Our clients also enjoy trusted service from the experts in our sales department, finance center, parts department, and Rent A Car facility, which is stocked with current Toyota models available for rent. Contact us online or give us a call at 904-302-9611!